Commissioners of account are appointed throughout Virginia by local circuit court judges. Their job generally is to supervise the activities of court-appointed and court-supervised fiduciaries throughout the state. Commissioners supervise administrators and executors of estates, trustees of testamentary trusts, conservators of adults who have been declared incapacitated, guardians of the person and of the property of minors, and trustees of deeds of trust. 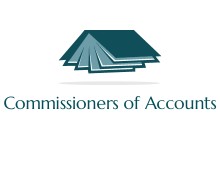 This session will review these various qualifications, requirements, and capacities of a Commissioner of Accounts. Alan Garrison is the sitting Commissioner of Accounts for Augusta County Virginia, and has served as Assistant Commissioner of Accounts for Staunton, and Treasurer of the Staunton-Augusta-Waynesboro Law Library. Alan is a graduate of Hampden-Sydney College and holds a Juris Doctor from Washington & Lee University. Alan is a member of the Virginia State Bar, and specializes in Estate Planning and Administration, Trusts and Estates, Real Estate, and Corporate Law. No duplicate credit can be awarded for those attending the live classes: 214271.